Kristina Onyon is a global partner marketing professional who has been driving high-growth with partners for 20+ years. Kristina's expertise encompasses all phases of marketing and enablement from startup companies to internationally recognized organizations. Kristina is currently the Senior Manager of Worldwide Partner Marketing at Puppet tasked with directing all partner marketing strategies through all GTM aspects to, through and with partners across the buyer's journey. 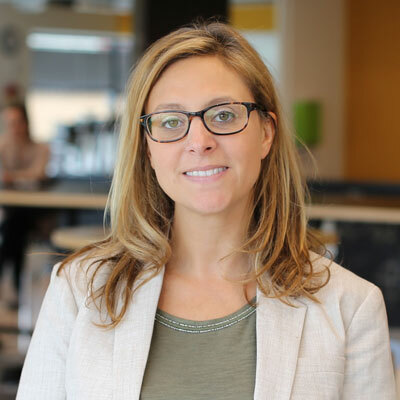 Throughout her career, Kristina has made a name for herself as a strategic thinker and motivational leader working for companies such as VMware, NetApp, and Splunk. She's consistently delivering industry-leading results by driving company growth with partners through strategic market planning and customer acquisition. Her innovative and unparalleled ability to harness the power of joint marketing to increase the bottom line has made her a sought-after marketing expert. When I joined Puppet back in May of 2017, I brought my passion for partnerships to drive growth to, through and with our ecosystem partners. During my time here, I've been recognized by my management for bringing experience, expertise and leadership to our partner marketing efforts, all of which I've developed over the years working for industry leading companies. In the last year, Puppet has significantly grown our partner business (over 45% Y/Y) and shifted to a partner-centric model. We've expanded our MDF investments, rolled out deal registration and sales incentives programs, built a technology alliance program (TAPP) and launched our very first partner webinar series "Talking Tech." I've only been with Puppet for 10 months, but I must say that it's very exciting to work for a growth company that has a strong belief in the power of partnerships, and continues to make investments in programs that matter. Puppet's partner goals for next year are to continue to increase our partner business and loyalty in all theaters. Our plan is to continue to invest in enablement programs, online tools and joint marketing campaigns. We will be offering channel specific bundles and incentives to help partners land new accounts with Puppet. Our enablement efforts will increase as we launch additional certifications and tiers in our program to support the expanding Puppet product portfolio. We also plan to drive further alignment with our channel and alliance partners with offers and solutions addressing business outcomes for our joint customers. None in the last year. I've admired many women throughout my career and personally, but if I had to choose one, it would be Oprah Winfrey. In high school, Oprah came and spoke at our school. She shared stories of her struggles growing up, and explained how none of those struggles stopped her from pursuing her dreams. Because of her, I've allowed myself to take risks, be tough, but also compassionate and genuine, and when things get hard, I try to find a way to laugh it off. Lastly, be the best version of yourself and the person who inspires those around you! As you begin the next chapter in life, have confidence that you can do/be anything you set your mind to. It will be hard work, but the rewards will be endless. Take time to enjoy the excitement, and also learn from your mistakes, keep going and never give up. Don't settle for less, and most importantly, be thankful to all the people who will help you along the way. "You have brains in your head. You have feet in your shoes. You can steer yourself any direction you choose." "Oh, the Places You'll Go", Dr. Seuss. Gaining greater insight into the current buying experience and driving greater customer satisfaction through experience marketing is one of my top priorities for 2018. As a marketer, I believe the best marketing is through the eyes of your customers, but that is not always easy in a partner-centric world. As a vendor, you can't always control the experience when you do not always have a direct relationship with the customer. It has been said that customers equate a product/brand with an experience, therefore, if it happens to be a bad one the chances of seeing repeat business is not likely. I have a 6-year-old child who is strong-minded and constantly challenging the status quo and testing boundaries. To stop the daily power struggles and better understand the behavior I decided to read "Peaceful Parent, Happy Kids: How to Stop Yelling and Start Connecting" by Dr. Laura Markham. I really like how she helps you navigate through positive parenting, but at the same time shares techniques on to empower your child to make the best choices. It's also interesting how many of the takeaways can be applied in business relationships as well.